The In-Sight 7000 series vision system represents a breakthrough in flexibility, performance and ease of integration. This powerful vision system performs fast, accurate inspections while its compact footprint easily fits into space-constrained production lines. The unique, modular design is highly field-customizable to your application requirements. Field-interchangeable lighting and optics provide users ultimate flexibility to customize the system for their application. 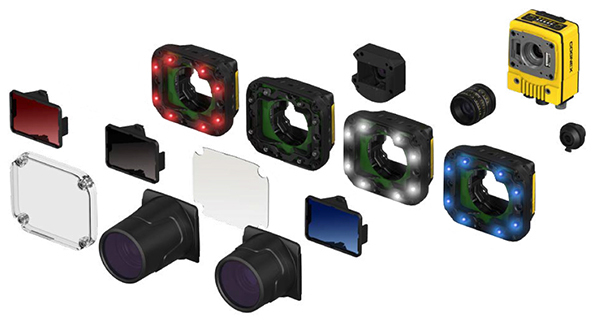 Full suite of powerful Cognex algorithms and vision tools help users solve applications easily and reliably. Intuitive EasyBuilder interface allows both novice and experienced users to setup and monitor vision applications. Advanced Control Solutions is a Cognex In-Sight 7000 distributor in Georgia, Tennessee, Alabama and Mississippi. We offer free evaluations and technical support to help our customers solve their applications.